It has been said, “That everything rises and falls on leadership.” The truth is, if you cannot lead, then you cannot grow your business; so, all successful business professionals need to be great leaders. Additionally, if you don’t know your numbers you don’t know your business. So, how do leadership and understanding the performance measure specifics of your business come together? 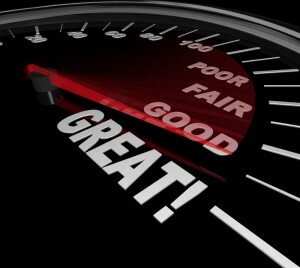 It comes through the accountability of your Powerteam Consultant in the form of performance monitoring. Many companies make a huge mistake in not actively reviewing their numbers on a consistent basis. Your Powerteam Consultant will work with you to develop a plan that includes specific numerical measures related to sales and marketing initiatives. For example, you should always know where your business leads are coming from and how many of them and from where they are being converted into business. Your Powerteam Consulting performance measure expert is specifically trained to help you dial in on the particular aspects and numbers that will make a big difference in your overall business revenue. One of the least executed business skills is performance monitoring. Sure, most companies develop a document that would pass for a position description, however the vast majority of those businesses hardly refer to them after the hiring. This often results in a disconnect and often a distance between the boss and employee, many times resulting in a dismissal and leaving everyone perplexed. There is an easy solution through performance monitoring in the form of weekly Key Performance Indicators, which are typically reviewed on a weekly basis with the boss and employee. It’s an easy fix to an often-difficult situation. Your Powerteam Consultant is highly trained to help you develop a performance measure strategy that specifically lifts the key metrics in your company and develops a funnel to evaluate them on a weekly basis. With solid performance monitoring on a weekly basis and a consistent measure strategy, you are sure to grow your business now. Ask for a free 45-minute business consultation from a Powerteam Consultant today.